Mirror or Reflex lenses offer a long telephoto focal length in a relatively small, compact and affordable unit. The new Samyang Reflex 300mm f/6.3 UMC CS is designed for use on digital SLRs featuring an APS-C sensor and will be available in the Canon EOS, Nikon F, Sony Alpha and Four Thirds lens mount. Taking account of the ‘crop factor’ on APS-C Digital SLRs, the Samyang Reflex 300mm f/6.3 UMC CS offers a ‘super’ telephoto focal length of 450mm for Nikon/Sony, 480mm on Canon and 600mm with Four Thirds cameras. 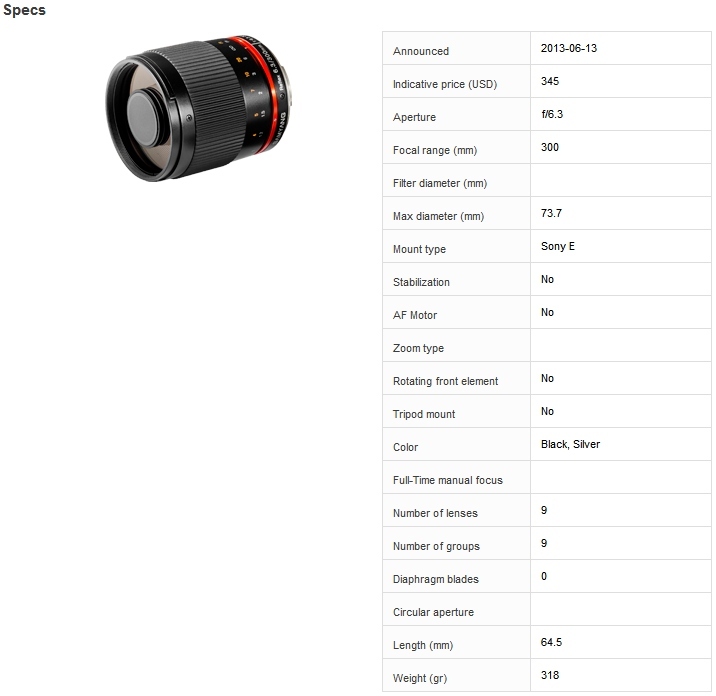 With an original version of this lens only available for mirrorless cameras, such as the Sony E lens mount, this latest version has been redesigned with a new ‘8 elements in 8 groups’ optical construction to compensate for greater distance between lens and sensor. 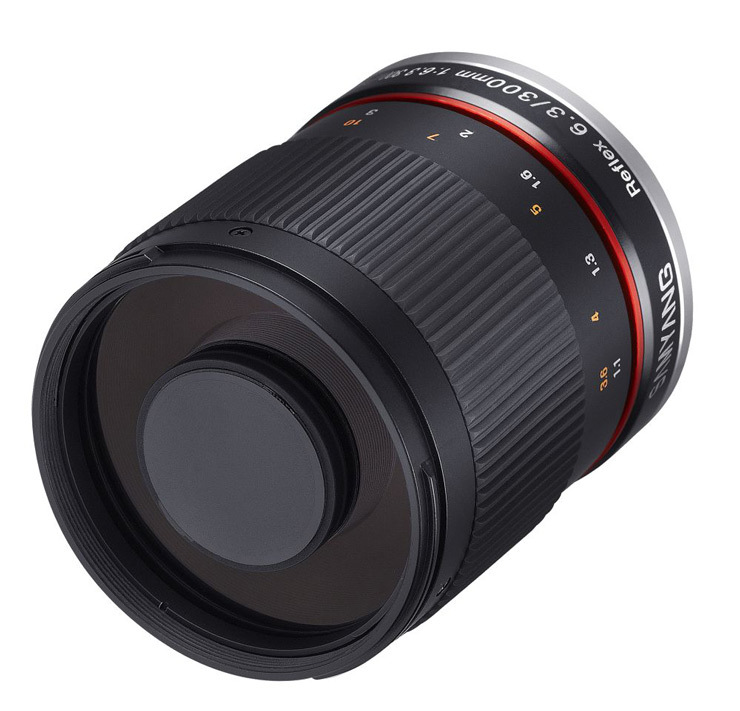 The Samyang Reflex 300mm f/6.3 UMC CS also features a minimum focus distance of 1.1m, a fixed aperture of f/6.3mm, manual focus and is compatible with rear mounted 25.5mm filters.